I am so excited and pleased to announce that my new album [fourth one!] which will be released in 2012 is well on route for completion. A big thanks to all my wonderful ‘Aviators’ my musicians and contributors including the wonderful Tenor Wojtek Wentura who has graced my recording and Polish language ‘coached’ me and my fantastic music producer Nigel Wolf-Hoyle for your incredible energy and verve and humour. The themes of this new record centre on the events that have surrounded my music and events this year in 2011. 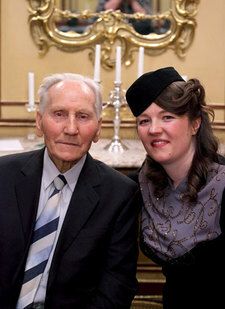 Our ‘Escapologist Tour,’ funded by Arts Council England set about paying tribute to Kazimierz Piechowski and his remarkable escape from Auschwitz concentration camp with a very exciting visit from Kazik, now 92 in person to London in March 2011. 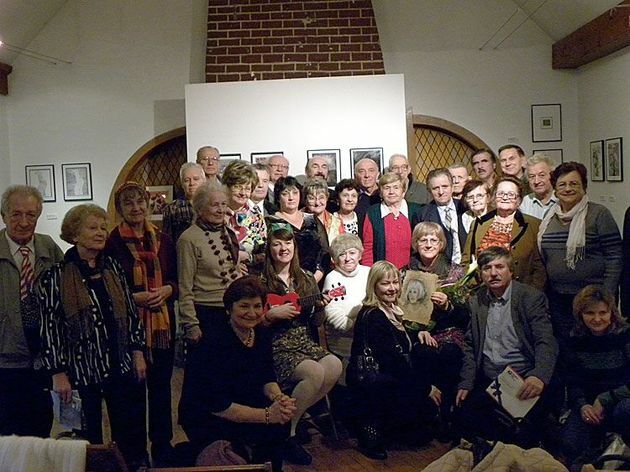 We shared Kazik’s story with British audiences in the form of documentary screenings of our film, ‘Kazik and the Kommander’s Car‘ as well as giving concerts to all age groups and sharing Polish history with communities from a diverse array of cultural backgrounds. This past month has been soooooooo much fun! I have not only relaxed and become one with nature – well in terms of playing at some rather lovely English countryside festivals including Big Chill and The Wilderness – both of which were utterly charming but I have also hastened to preproduce my new album which is firmly taking shape and I can now announce that it’s producer is the infamous and great talent of Nigel Of Bermondsey. It took a steady and careful hand to finally start the process however we have now realised 14 tracks 70 percent of which are in Polish. I have also booked a rather wonderful Polish tenor to travel to record his wonderful voice on soem of my songs. More on this in the near future – I don’t want to give too much away! 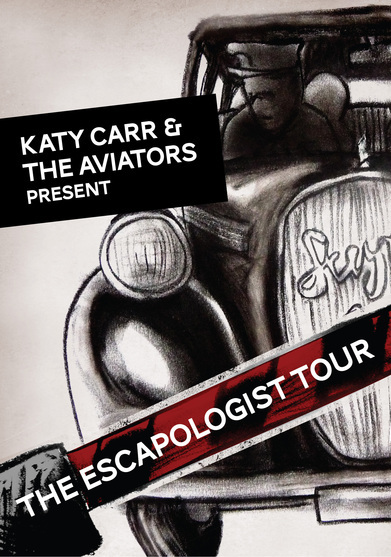 Thankyou for all your kind messages of support with regards the last Katy Carr and the Aviators, ‘Escapologist Tour.’ The band promises to bring you more interesting performances and events as we approach June 2012 which marks the 70th year Anniversary of Kazik Piechowski’s escape. For the remainder of 2011, I am currently in the process of various projects including the recording a new album, supporting The Great British Barbershop Boys on their infamous 2011 UK tour as well as loving my various concerts and performances. In fact my new album is directly inspired by the time Kazik spent in the Polish Partisans and Polish Home Army after his escape. Kazik shared so many stories with me that I found it a wealth of inspiration and could not continue my creative path without responding to his knowledge in the form of song. So I have written 12 songs and some are entirely in Polish and some are a mixture of English and Polish. Expect to hear this in early 2012….. I have really enjoyed July 2011 having performed in the most beautiful 1930s Art Deco Cinema called the Plaza in Stockport. I remember the stunning yellow silk curtain and the embroidered poppies – well worth a visit! July also saw concerts at the Polish ARTeria exhibition hosted by the Polish newspaper, Nowy Czas. Here Kristian Data had chosen a selection of Polish musicians working in London and had taken pictures of them without their musical instruments and then exhibited them together with a musical concert in Borough. It was a great happening please see my picture which was exhibited below…. 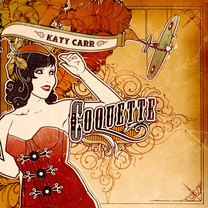 I just wanted to write a quick message this month to say thankyou to all of you who helped us with the Katy Carr and the Aviator’s ‘Escapologist’ Tour 2011. It has been an intense affair due to the nature of the topics and history we have had to discuss continually throughout the live concerts and community work. We are currently going through all the information gathered – photos and videos as well as other media and will be sharing it with you soon online. We are very proud of our tour as new links between the British and Polish communities have been created, here in England – thanks to the belief and funding from the Arts Council England and we trust this will continue well into 2012 and especially for 20th Jun 2012 which marks the 70th Anniversary remembrance day to commemorate Kazik’s brave escape from Auschwitz concentration camp. We had some great ‘Escapologist ‘tour dates in June and would like to again thank the various councils for their involvement and continued support- the highlights being at the Dugdale Centre, a lovely venue in Enfield, Holloway Festival and Exeter Fringe Festival. 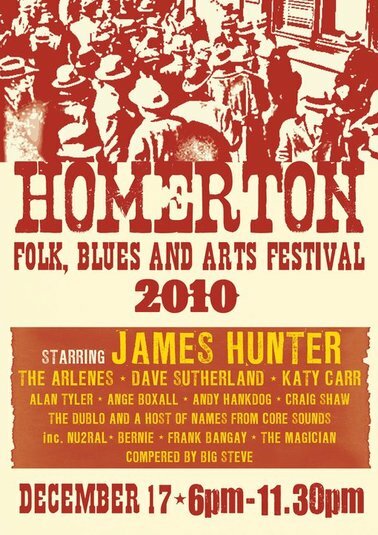 We have been asked to return to play at these venues in 2012 and we can’t wait! 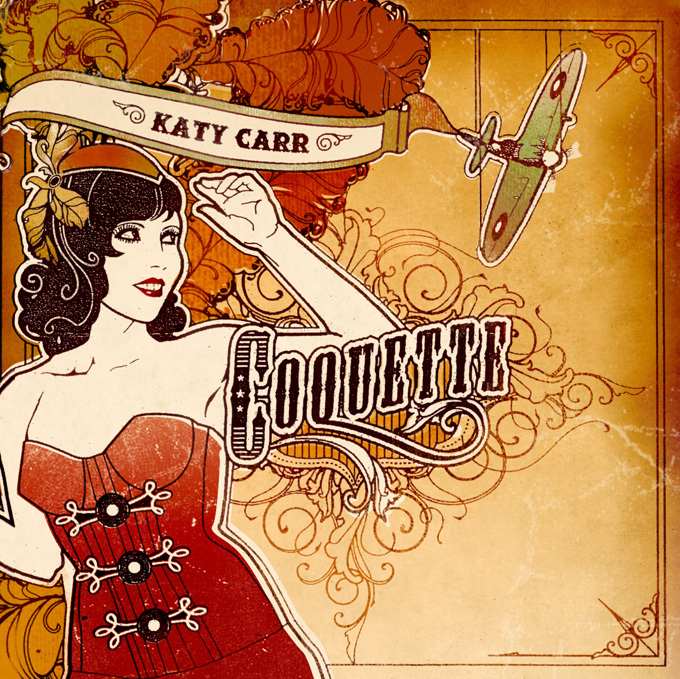 Firstly Katy Carr and the Aviators would like to say a BIG THANKYOU to all of you who have been supporting our Escapologist Tour. We have loved playing for you all and the feedback for our songs and film , Kazik and the Kommander;s Car dir Hannah Lovell have been very positive and at times extremely emotional. It is a great honour to engage with you all on such a personal basis so thankyou again. For those of you who may not have yet come to one of our tour dates please find some information below…. ‘The Escapologist Tour,’ is dedicated to the honour of Kazimierz ‘Kazik’ Piechowski, a Polish Scout who in June 1942 escaped from Auschwitz concentration camp in a Steyr 220 car. Events include musical performances from Katy Carr and The Aviators & a 25 min documentary screening of Kazik and the Kommander’s Car directed by Hannah Lovell & produced by Katy Carr, where Katy first presents Kazik with her tribute song, ‘Kommander’s Car’. June 2011 ‘Escapologist’ Tour Dates…. 3rd June 2011, 7.30pm at The Dugdale Centre , Thomas Hardy House, 39 London Road, Enfield, EN2 6DS [Free admission]. April has been an incredible month with regards various musical and historical matters….Kazimierz Piechowski’s first visit to the UK proved to be a mammoth success. The British media whipped up a storm and we were featured in various papers such as The Guardian, Evening Standard, The Sunday Express, The Times as well as Radio 4’s Today program. So thanks to all of you who helped in the event preparations and for your attendance. We will be posting up video blogs and written blogs in the near future. In addition and partly inspired by this month of events i am currently putting together a book called ‘Kazik Kollectif’ with responses from 20 artists from all disciplines, poets, writers, musicians, photographers, artists with regards Kazik’s story. This will be published next year in 2012. First of all thanks to all you lovely people for posting such fantastic messages on my birthday,1st Feb 2011. I had over 400 and so apologies if i haven’t responded. Know that I read every single one and that I thank you sincerely! Firstly thankyou to Poland and to all my Polish friends for making my research trip and concerts in the early part of October so very enjoyable between 1st and 12th October. I spent some days in Warsaw with my album artist designer Susan Burghart. We visited many places of interest and took lots of photos. 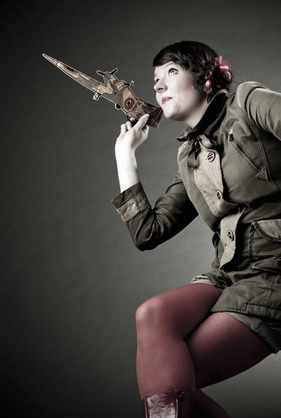 Susan has a good idea of what I want my next album artwork to look like and I am very excited and pleased. 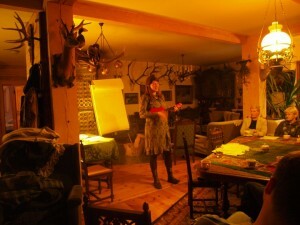 From Warsaw I was then driven to Bialowieza to my friend Olimpia’s house and was again very well fed and looked after. We ventured into the Białowieża Forest (National Park; Polish: Białowieski Park Narodowy) in Podlaskie Voivodship in Poland at the border with Belarus. This Park is on the UNESCO World Heritage List so it is a very special environmental area. We glimpsed bison grazing, wild boar, many varieties of mushrooms and also the footprints of wolves.